Attention, shoe enthusiasts—especially those who call a kitchen their office! 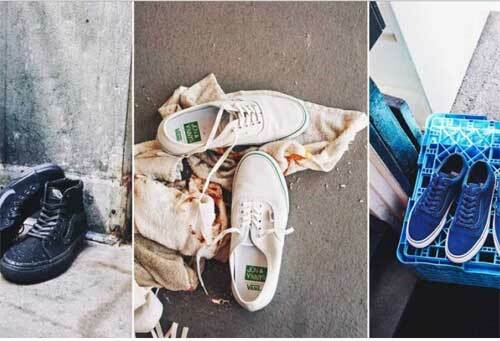 Vans, a popular clothing and footwear brand that specializes in making you look #swagtastic while pulling off ollies on a skateboard actually has—get this—kitchen shoes! Yeah, the kitchen is a place we don't normally associate with an outfit such as Vans, but the brand is seemingly hell-bent on making life easier for food professionals. 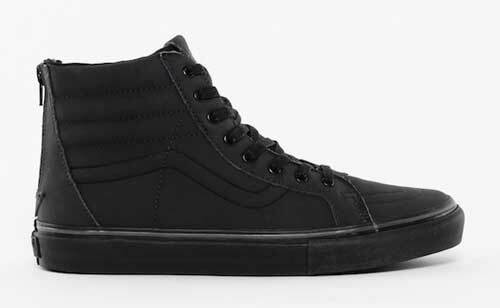 Back in early 2014, Vans collaborated with Canadian chef Chuck Hughes (he has two Food Network shows: Chuck’s Day Off, Chuck’s Week Off) to produce the Black Crab Pack which features a couple of all-black pairs. The Black Crab Pack offers customized versions of the SK8-Hi Reissue Zip LX and Authentic LX with water-resistant material and waxed laces. 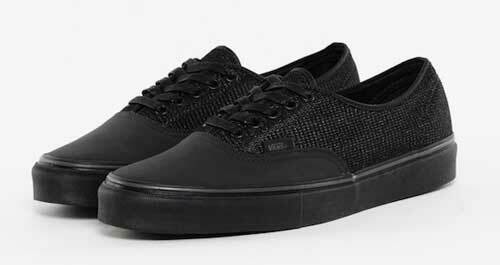 The shoe is a collaboration between Vans and No. 7 Subs (a sandwich shop in New York City) chef Tyler Kord. 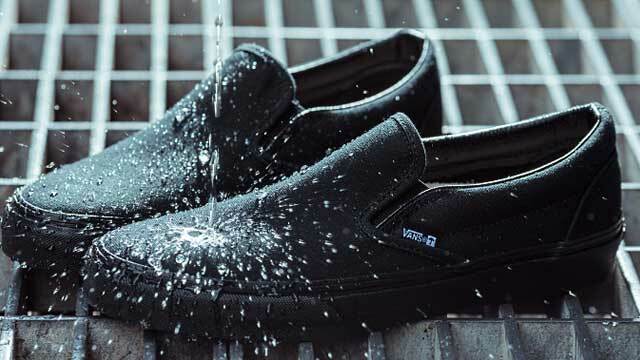 It's actually an updated version of the Vans Classic Slip-On and offers features such as an enhanced footbed (for better cushioning and arch support), an exterior which repels liquids and grime, and a black facade to help hide nasty stains. But their shoes for chefs line (or as our lame pun goes, shoes chefs) didn't end there. Earlier this month, the brand hooked up with restaurateurs Jon Shook and Vinny Dotolo (co-founders of Animal, a restaurant known for meat specialties in Los Angeles). 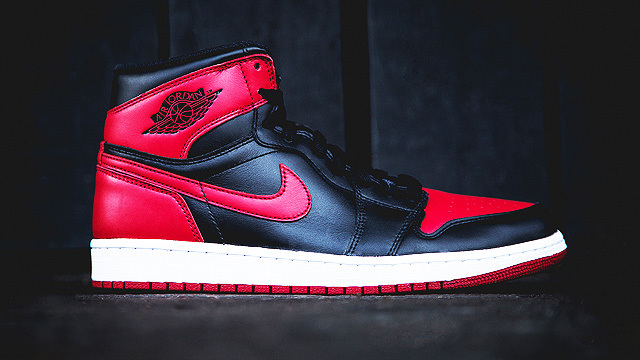 The partnership will result in the release of a six-piece collection specially made for the kitchen. The pack will feature updated designs and colorways of Vans classics such as the Authentic, Classic Slip-On, Old Skool, and Sk8-Hi Reissue. The shoes in the collection will also boast of water-and-dirt-resistant canvas uppers, water-resistant coating, and enhanced footbeds, making them the kitchen pros' BFF. We don't know about you but these shoes look so damn good, they deserve time outside the kitchen as well! The Vans Black Crab Pack is currently exclusively available online via Off The Hook for $90 (around P4,300) for the low-top and $150 (around P7,200) for the high-top. The No. 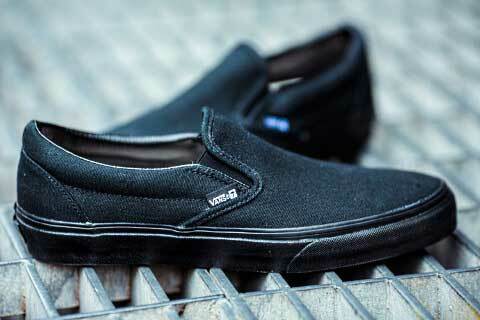 7 Vans Classic Slip-On is for Kord's staff feet only. Meanwhile there's still no word on when the collab with Shook and Dotolo will be released and for how much.